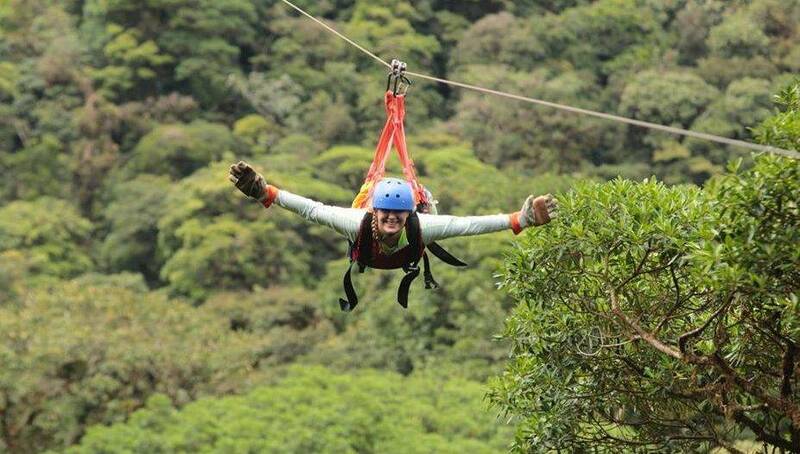 Zip lining: high adventure zip lining, which includes rappelling, the Tarzan swing and the superman cable which is 1 km long and 180 meter high, so you have an amazing view of over the beautiful valleys of the Monteverde Cloud Forest. We will start with harnessing you with all the appropriate equipment, after which your guide will lecture you on all the safety procedures, to best enjoy this amazing adventure. You will then be flying through 15 cables and 18 platforms, with an optional Tarzan swing at the end of the adventure. 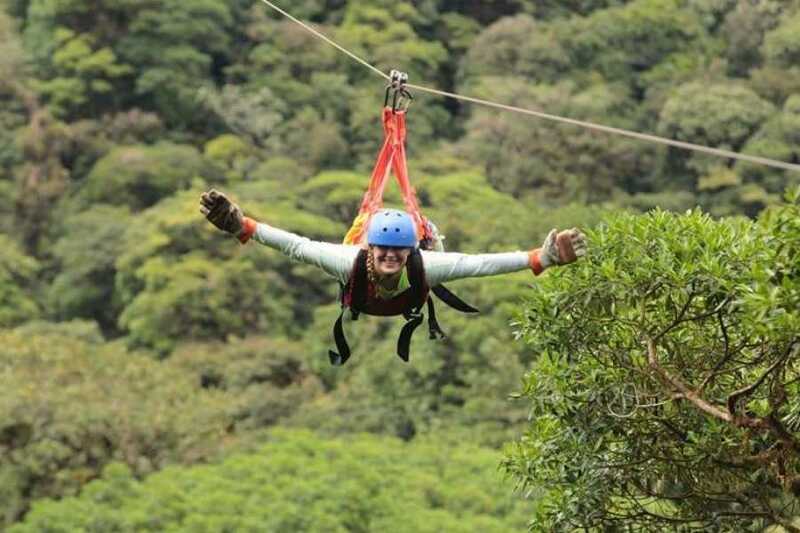 The zip line tour usually takes between 2.5 and 3 hours and can be done by adventurers from 4 years and older. Hanging bridges: the Tree Top Walkways consist of a 1.9 mile (3 kilometer) trail that crosses through the Monteverde Cloud Forest. Here visitors will walk on eight different bridges with various lengths, ranging between 150 feet (50 meters), up to 510 feet ( 170 meters) and altitudes ranging between 36 feet (12 meters) up to 180 feet (60 meters). Each bridge has a width of 5 feet and a capacity of up to 80 people per bridge, making them both the longest and the strongest bridge system in the Monteverde Cloud Forest. The Treetop Walkways are suitable for people of all ages. The duration of the hike usually takes between 1.5 and 2 hours.